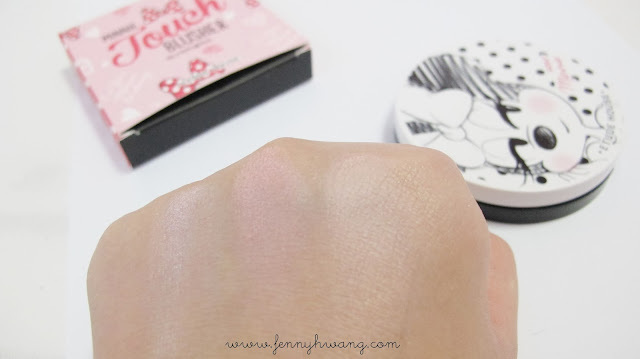 I actually have 2 Etude House Pink Boxes to blog about, but I was more excited for this one. 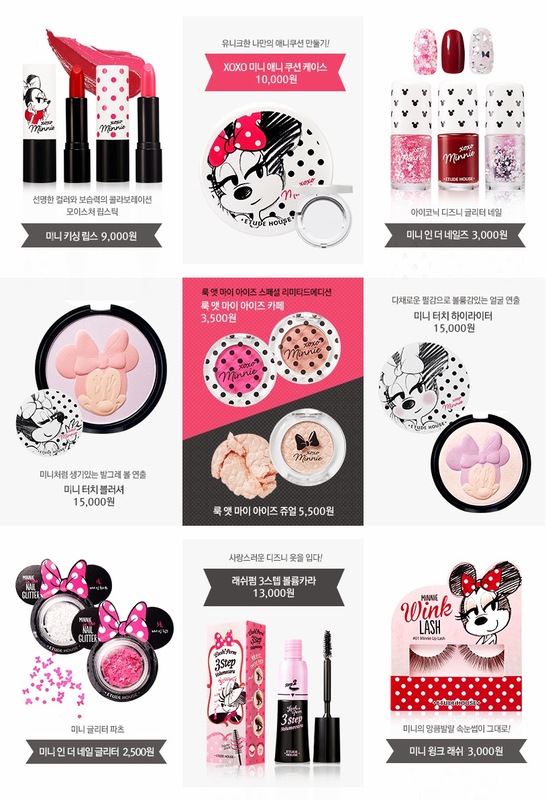 This series is a special collaboration between Disney and Etude House, and is exclusive to Korea. And I have to thank my special friend that sent all these products (and more) from Korea right to Singapore. Thank you soooo much Boyoon! (Boyoon is @newgreenconsumer on Instagram, and we just exchanged our first package!) 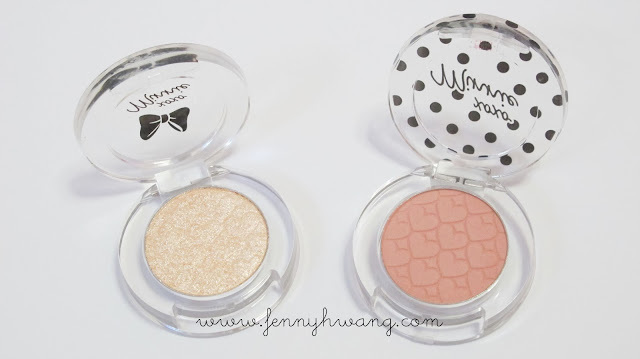 I'll prolly post a review as I use them but here's some swatches of the beautiful products for now! 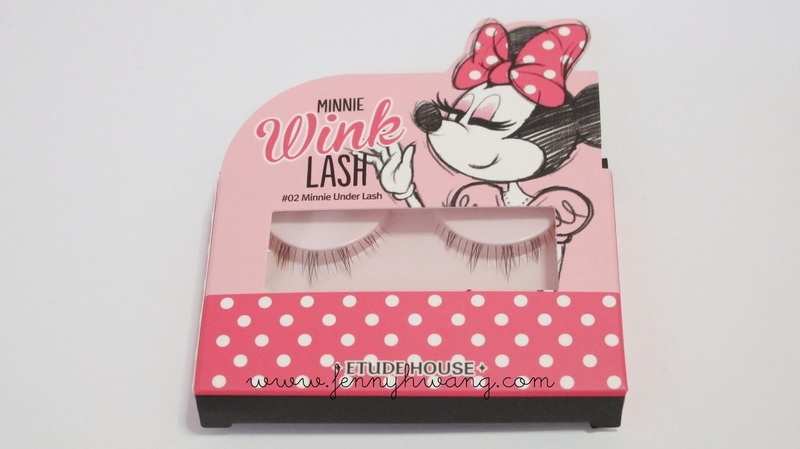 Super cute bottom lashes!!! 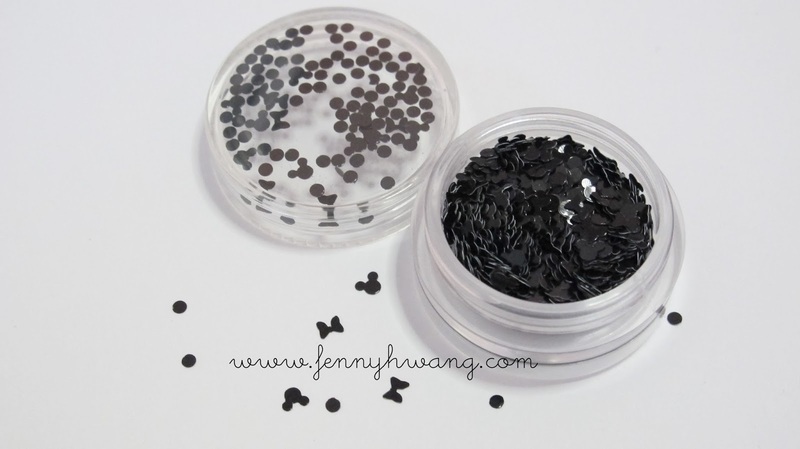 I thought the top lashes were nothing too special though. 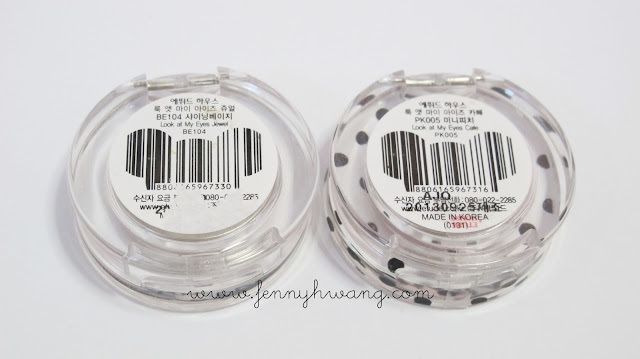 There's a date imprinted but I'm not sure if it meant the date which the glue was manufactured or the lashes. 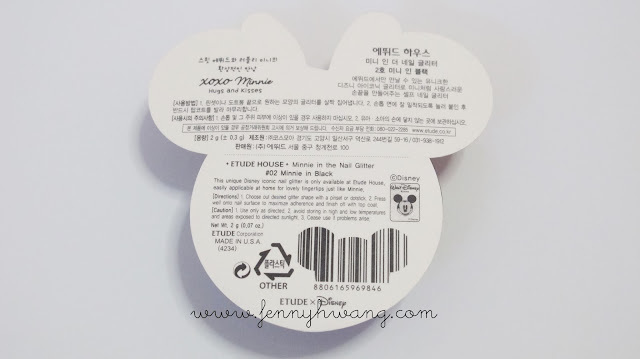 I think the date where the glue was manufactured is more important :P And have you already noticed the Minnie ears-shaped barcode?! I'm a sucker for everything cute, including barcodes lol. I'm so happy Boyoon got me this, as I'm more of a red lipstick person than a pink lipstick person. 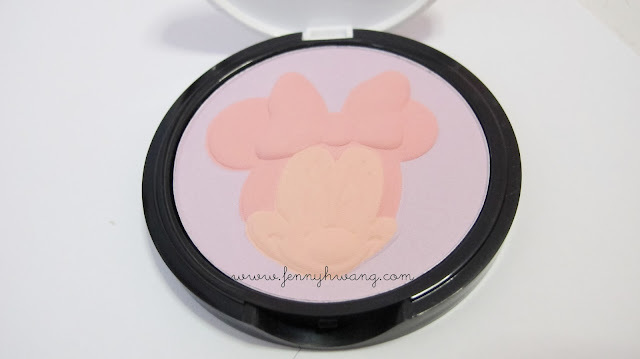 The color is pretty pigmented, and it resembles the texture and scent of Dear My Lipstalk a lot. It leaves a stronger stain though. And as you can see, it has a glossy finish. I chose the black one because I felt like its more versatile. It contains the shapes of a Mickey/Minnie Mouse silhouette, Minnie's Bow and little dots. 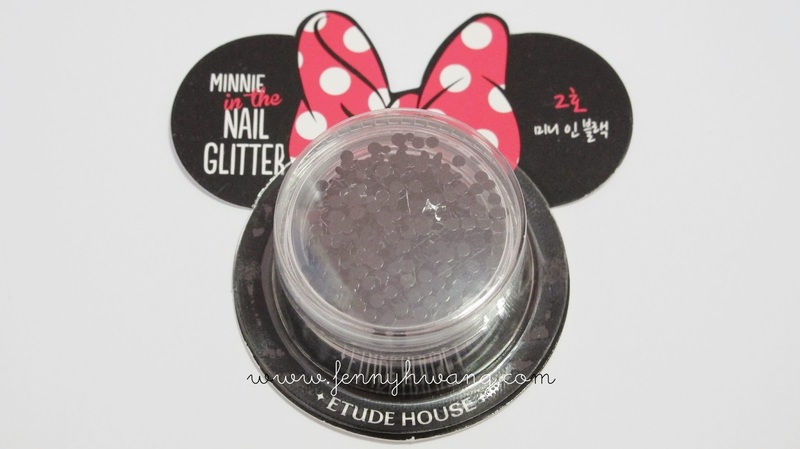 This is really special, as other nail art shops would sell them but the proportion of the Mickey's head to ears are always weird. 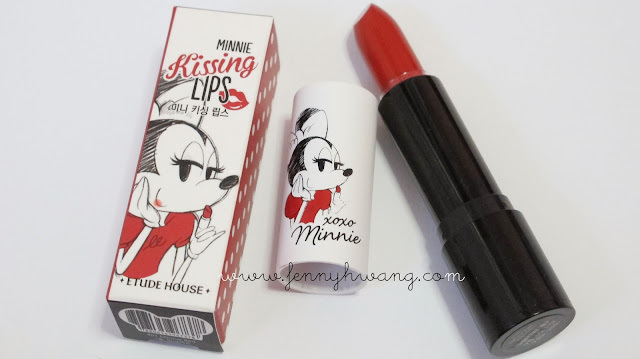 This is very accurately proportionate because it is a legit Disney product. Heheheh. Thanks so much for these nail polishes! They contained ribbons of the other colours! 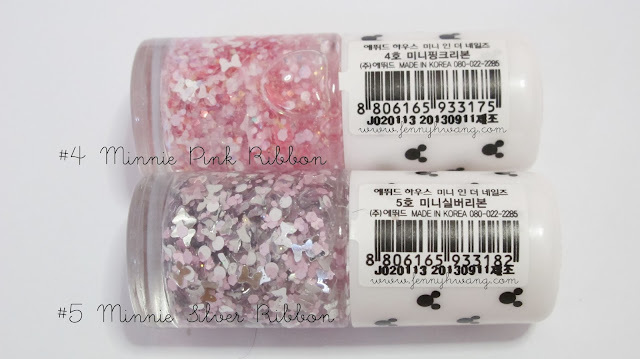 #4 Minnie Pink Ribbon has pink and white ribbons, with some mixed white & pink confetti and gold glitters. And for #5 Minnie Silver Ribbon, there's a mix of white and purple confetti and of course, silver ribbons. 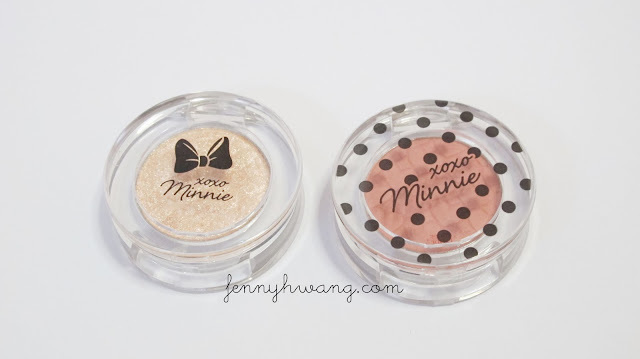 Both have really unique confetti inside, but they are pretty hard to get on the brush :P I kinda dug and dug in order to get a ribbon, or most of the time all you'd get are the other glitters. I'm in the midst of editing some videos for Etude House's Pink Boxes as well as my haul in the wonderful month of September. I'll also mention the things that I got from Boyoon. Stay tuned! And thanks so much Boyoon, for all these!! I hope you receive my package soon! 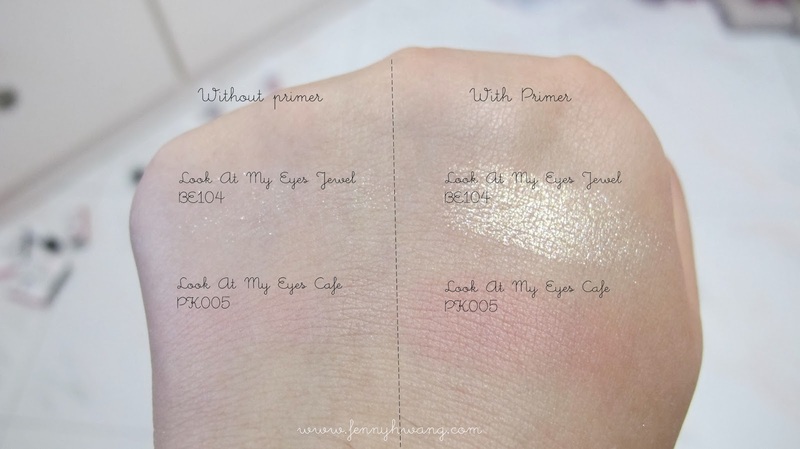 Everything here are actually not too bad, except the blusher which is pretty pale and not pigmented enough. 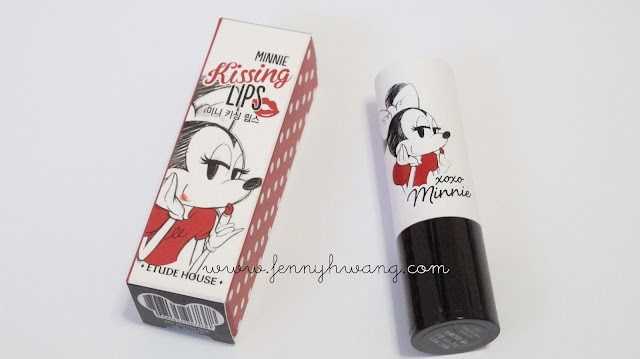 I especially like the lipstick, eyeshadow and eyelashes! Yeah.. 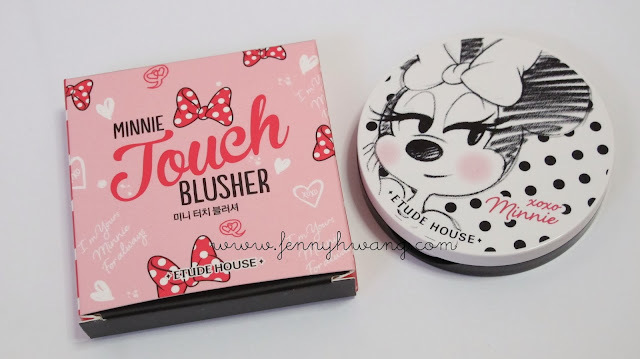 The blusher is probably a miss in term of usage but 99 points for the awesome Minnie embossing! 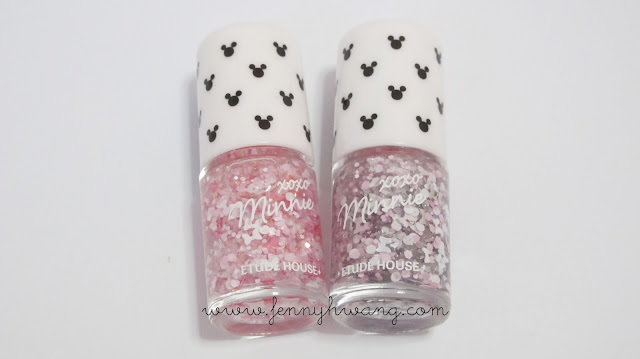 HIIII I'm falling in love with the minnie in the nail glitter (the one without the gel) ~! Do you know how or where I could get them? ?